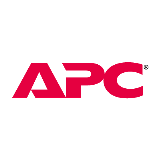 Time was APC was the Cadillac of the power management world. But in my opinion, as with many vendors they're not keeping up with the times. Case in point our APC AP7990 PDUs. We're no longer able to use any modern browser to manage them. And when we use an older browser, we've been getting "Someone is currently logged into the APC Management Web Server." when attempting to login, because it's not resetting the session when disconnecting. And by all means, click Log Off when using the APC PDU web interface. Stumbled across this, and yes. This is still the case in 2018. APC's work around? use an old version of Putty.